Weight: 180 gr. glass jar. Ingredients: Red Deer Venison meat 33%, tomatoes, pork meat 5%, onion, extra-virgin olive oil, tomato paste, red wine, salt, dark chocolate, garlic, pepper, rosemary, laurel. 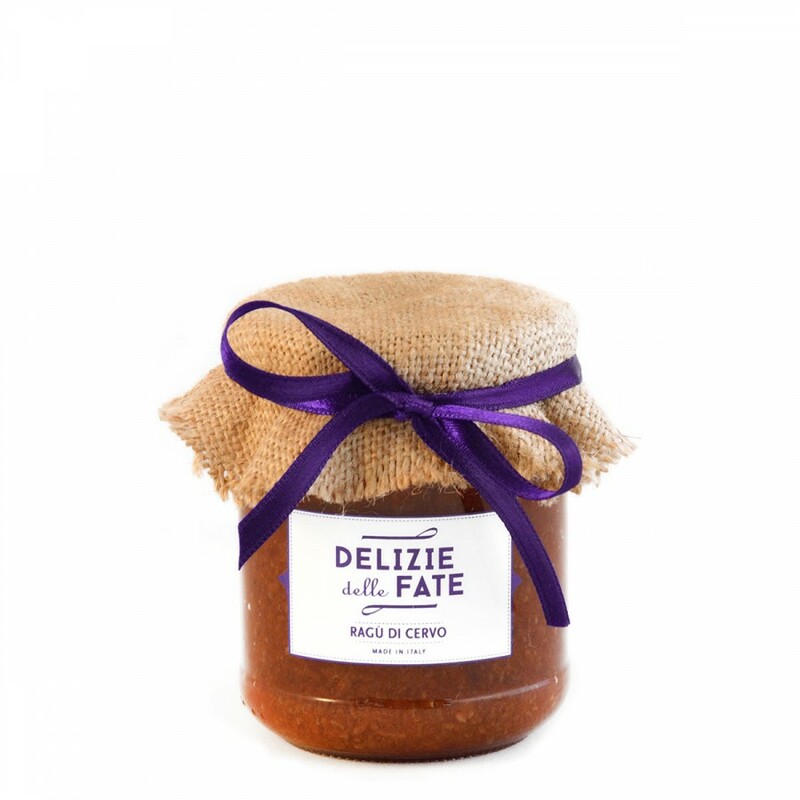 Description: This tasty and refined ragù of the Tuscan tradition is prepared with highly selected venison and made following the ancient recipe that wants the addition of a small percentage of pork, tomatoes, oil, onions and dark chocolate. Its intense and delicate flavor is perfect for seasoning pasta dishes, such as pappardelle, tagliatelle and gnocchi.